For the joy of of Hong Kong's instagrammers and foodies, the first international branch of Wagyumafia has just opened in Wan Chai. The popular Japanese Wagyu beef eatery serves an omakase menu, with dishes selected by the chef. Some of their most famous bestsellers include Gyoza, Tricolored Sushi Diamond Edition, Josper Grilled Steak and more. The restaurant is known for its unique culinary experience, which fuses both traditional and unconventional Japanese dishes mixed with Wagyumafia’s signature flair. The concept doesn't just bring to Hong Kong the best of its now-famous delicacies but also exclusivity. In fact, it currently runs as a member's only club that can be joined online through Tock Reservation after paying a one-time fee of 1000HKD to access all Wagyumafia outlets, butcher services, priority booking, invitation to pop-ups and, most importantly, limited cuts of Champion-grade Kobe. In addition, members can also enjoy the Hong Kong tasting menu that is presented with pedigreed Wagyu and Kobe beef from selected Japanese farmers and includes Wagyumafia’s well-known Wagyu Chateaubriand Cutlet Sandwich, which consists of a thick panko-fried filet between two slices of Japanese milk bread and a touch of a house-made sauce to give it a special flavour. 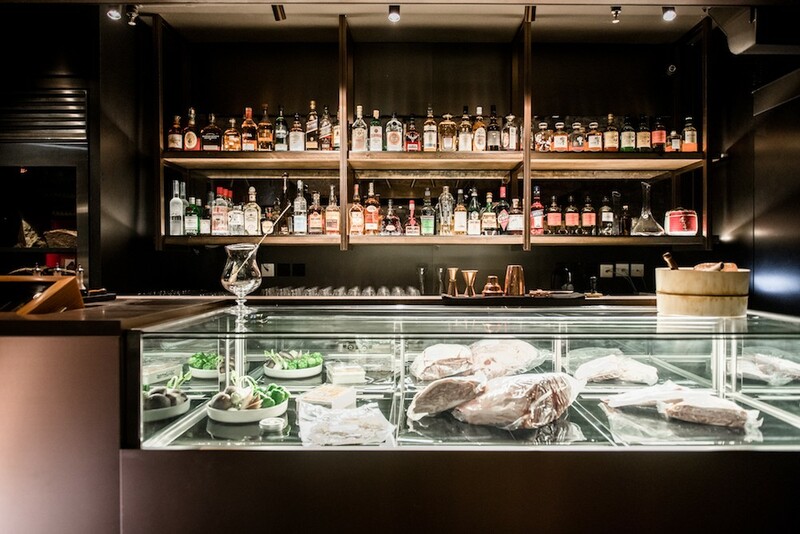 The Hong Kong branch will also feature Wagyumafia’s first full-service bar with a variety of cocktails selected by Beverage Director John Nugent, including the signature Wagyu Old Fashioned. At the bar, the ingredients and the glasses are kept in the lowest temperature possible for customers to enjoy a chilled drink from the first to last sip without any ice in it. Although it is a members only restaurant, non-members can also enjoy a pared down menu with selected signature dishes.